"The Gathering... an Irish party, on and off the airwaves." Throughout 2013, Irish families and clans will be coming together in thousands of events, both on the island and around the globe, to celebrate their history and heritage in a unique event called "TheGathering". 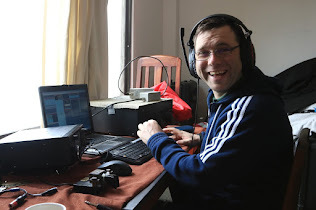 Irish amateur radio stations, North and South, will be participating and all operators throughout the world, whether they have some green Irish blood or not, are invited to join-in the celebrations. Silver Howe Sydenham Mews, Corrig Avenue Dunlaoghaire, Co Dublin IRELAND.